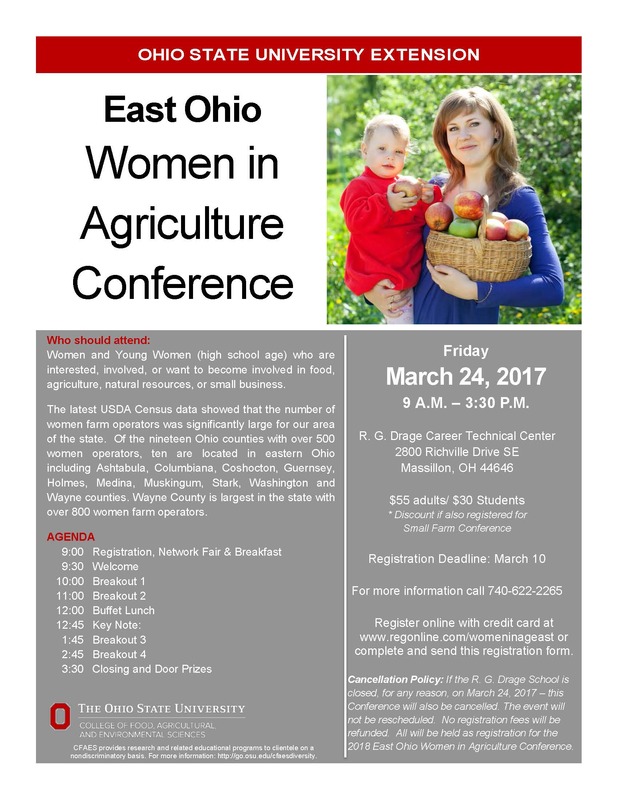 A favorite part of early spring each year is hosting the annual East Ohio Women in Agriculture Conference. This year 74 Ohio women travelled to Massillon to learn about everything from equine dental to conflict resolution, from beekeeping basics to appropriate farm tasks for children. This year’s keynote speaker was Marlene Eick who challenged and encouraged the women to know themselves well, and then to expect more. There is something pretty special about being around a large group of people who want to learn more. I enjoy the energy and the questions. However, for me it is equally refreshing to have time to quietly reflect and research certain topics to greater depths. How are you doing in the learning department? Are you actively seeking out opportunities to learn more about a topic that interests you? If there is something that you’ve always wanted to learn more about, make the choice this week to take the first step. Whether its reading a book that broadens your view of the world or a conversation with an expert who is passionate about a certain subject, I encourage you to expect more of yourself this week. But not in a guilty way like you should be pushing yourself to do more. Instead expect more of yourself in the noble way of pushing yourself to “be” more. Keynote speaker, Marlene Eick, inspired attendees with lessons learned from her purple flannel jacket. 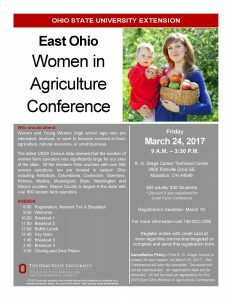 Several women from Coshocton County attended the event. Six of the nine women are pictured here with educator Emily Adams. Heather Neikirk welcomes us to Stark County for the conference. Participants in the Real Colors session learned about their temperment and how to improve communication with others. The “Blue” group during Real Colors. The most popular session by far was the Conflict Resolution and Dealing with Difficult People session taught by Jackie Kirby-Wilkins. The “Orange” group during Real Colors. David Marrison taught a double session on Farm Transition and Family Communication. A reminder from the State FFA Officers about priorities. Two women won free registrations for the 2018 conference!